Mobile World Congress The eagerly-awaited successor to the the popular N95 was at last unveiled in Barcelona this morning. Details of the N96 - the latest addition to Nokia's smartphone range - were leaked before the weekend, and they weren't far wrong. The dual-slide handset sports a 2.8in display, 16GB of internal memory that can be further expanded with an optional Micro SDHC card - like the new Nokia 8GB Micro SDHC card. The N96 also offers a DVB-H TV tuner for live TV broadcasting in select markets and it supports most common video formats including MPEG 4, Windows Media Video and Flash Video. And the handset features a "kickstand" on the back that allows the device to stand alone for hands-free viewing. It also features media keys, a 3.5mm headphone connector and built-in 3D stereo speakers plus the Nokia Maps application with Assisted GPS, a five-megapixel camera with Carl Zeiss optics, flash and video light and video capture. It has Wi-Fi and HSDPA connectivity. 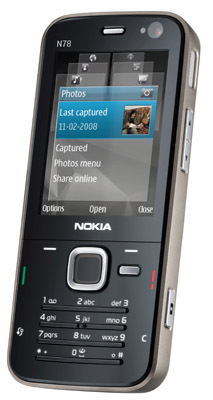 The N96 is expected to begin shipping in the third quarter of 2008 with an estimated pre-tax sales price of approximately €550. In addition to unveiling the new flagship N96, Nokia has also announced the N78 handset, designed to take advantage of the new Ovi suite of Nokia services. 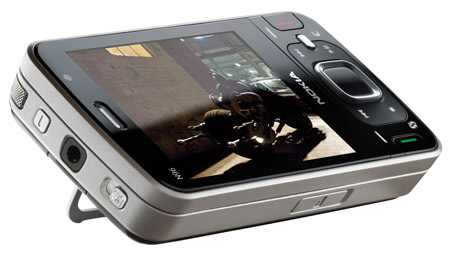 It features A-GPS, with free Nokia Maps, Wi-Fi and 3G HSPDA connectivity, a 3.2-megapixel camera with Carl Zeiss optics, and support for Micro SD memory card, currently available up to 8GB in capacity. 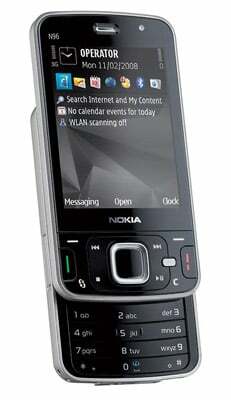 According to Nokia, the "novelty" features of the N78 include the geographical tagging of photos and an integrated FM transmitter that allows music to be played on any FM radio, in a car or at home. The N78 is expected to be available during the second quarter of this year, with an estimated pre-tax retail price of around €350.